"A sUMPTUOUS PIECE OF WEST SUSSEX"
We're a lucky bunch here at The Lamb; we have access to the most brilliant ingredients the South of England has to offer, we're nestled in one of the most stunning locations in the Country and we've got staff who absolutely love what they do. A pretty good formula for a crackin' country pub right? We've gone from strength to strength since we took over a few years back and we hope to continue this trend backed up with brilliant beer and delightful food. Whether it's a quick bite after a long day at the Beach or a hearty meal by our fireside in Winter, the Lamb Inn is the place to be. We have a great car park to fill up with your windbreaks and surfboards, kids and dogs are both welcome, we've got a lovely beer garden and a little playground to boot! 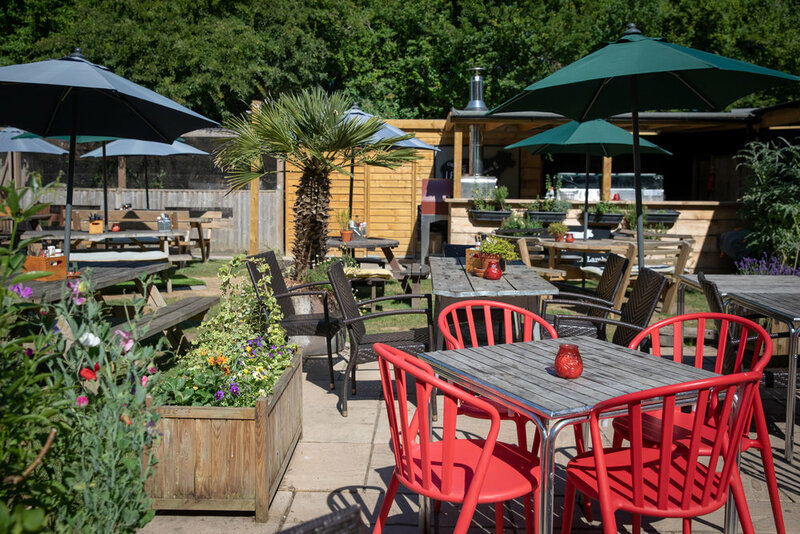 We've spent a lot of time working on making the best beer garden in the county and we'd love if you came and soaked in the Sussex sun surrounded by our handmade pirate ship, rustic pizza oven and gorgeous flowers. We love using local produce in our kitchen, from our Nutbourne Tomatoes, Selsey Crab and our catch of the day specials.